Twenty years since its inception, the Amsterdam Dance Event has become the most important date on the international electronic music community’s calendar, seeing the world’s biggest DJs, key industry heads and hundreds of thousands of clubbers descend upon the city, bringing a period of intense focus to an already well-established destination for quality dance music. 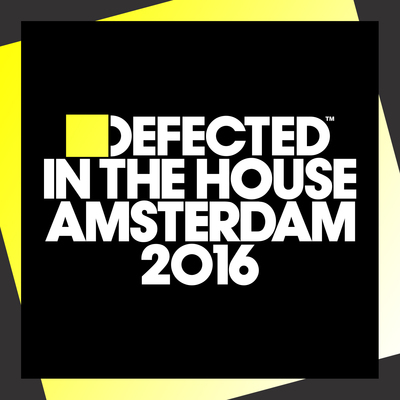 The Defected In The House party at ADE is possibly one of the most eagerly-anticipated of the week, and ‘Defected In The House Amsterdam 2016’ offers a sneak preview of the tracks set to soundtrack the night and possibly dominate dancefloors throughout the festival. Across two curated mixes, the compilation aims to feature some of the hardest-hitting house tracks of the future, past and present. The mixes feature upfront material in the shape of Anabel Englund’s debut single ‘London Headache’ – here remixed by Purple Disco Machine – and Benji Candelario, Arnold Jarvis & Nina Lares’ ‘Higher’. Duke Dumont’s ‘Be Here’ and Red Rack’em’s ‘Wonky Bassline Disco Banger’ continue to still perform well on dancefloors, whilst Kings Of Tomorrow’s ‘KOT Anthem (Soul Vision Remix)’ and Barbara Tucker’s ‘Stay Together (Armand’s ‘Crazy’ Trauma Mix)’ bring good vibes from years gone by. It’s out 7 October 2016. Hi! This is my first comment here so I just wanted to give a quick shout out and say I genuinely enjoy reading your articles. Can you recommend any other blogs/websites/forums that deal with the same subjects? Thanks a ton!